When I think of Bell’s beer, I think of more traditional styles, like Expedition Stout, Winter White and Two Hearted Ale. What I don’t think of is a New England Style IPA, and that’s exactly what I have here today – Bell’s first EVER!!! 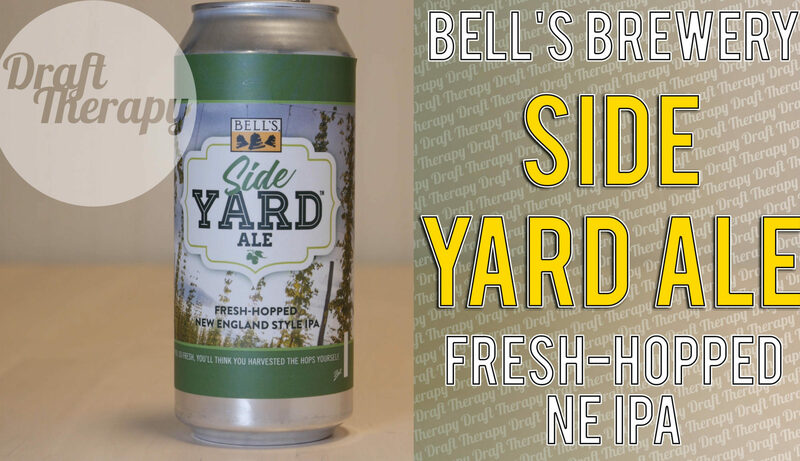 New England Style IPA, Side Yard Ale. They decided to not go too crazy with different hop varieties and stuck with Chinook hops, which were freshly harvested from their very own hop yard. This is a wet-hopped NE IPA, and those chinook hops went from harvest to boil in just 4 hours! Holy Logistics, Batman! So how did Bell’s do with their first NE IPA? Watch and find out!